What is Inflamed Taste Bud? 1 What is Inflamed Taste Bud? When we go out for a dinner and see delicious foods, we tend to salivate. We cannot help our self not to be amaze and feel hungry. When we eat junk foods we cannot help but finger-lick using our tongue. When it is our first time to taste a food that is not usual to us, we use our mouth and tongue. We feel the taste and flavours of the food using our tongue. We cannot speak clearly without our tongue. The muscle that regulates the movement of our tongue is the one controlling our speaking ability. 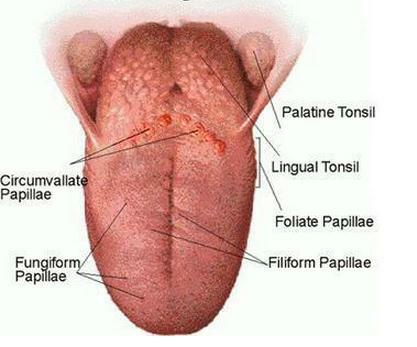 As I am writing this, I came to realize that the tongue is one of the unique parts of our body. Our tongue has more than 8,000 taste buds. 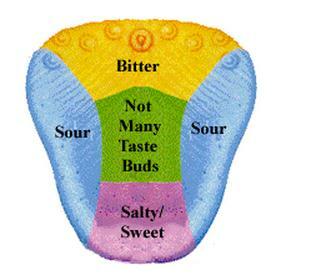 The taste buds are responsible to differentiate and classify different flavours and taste of the foods. In the human anatomy structure, the tongue has taste buds and five taste senses. Those senses are: sweet, bitter, salty, sour and the latest is umami. It is also divided into five sections such as back, centre, front, blade and the tip. Taste receptors in the taste buds transmit signals to the brain right after tasting the food hence giving the food taste. It is also present in the different parts of our body like esophagus, larynx and pharynx. Different people have their own food taste fetish. Some of us likes sweets too much, some likes to indulge in sour, some would eat bitter, hot and spicy foods (especially organ meat) and some would love salty foods. However, when we indulge too much, our taste bud cannot take it anymore causing it to damage and inflamed. The characteristics of inflamed taste buds are like a white patch. The tongue becomes swollen and sometimes painful. The affected cannot determine the taste of the foods he is eating. There are different factors and underlying causes why a person experienced inflammation of the taste buds. Listed below are the common factors and underlying causes of inflamed taste buds. Treatment for inflamed taste buds should know first the underlying conditions. These treatment targets also the factors involved. Our taste buds are essential for us to know the kind of foods that we are eating. The further damage we do to it, the worst may happen. We cannot enjoy our foods and we cannot appreciate what we are eating. No matter how good the looks of the food yet we cannot identify its taste; it’s just worthless. When our taste bud is inflamed it takes days to heal it naturally. As an old cliché’ states “We are what we eat.” If we will not monitor our actions, then our body will be affected. Take care of your tongue; maintain it in a good way. Avoid foods that can ruin the taste buds and for sure you will be enjoying much on your foods. Happy eating!